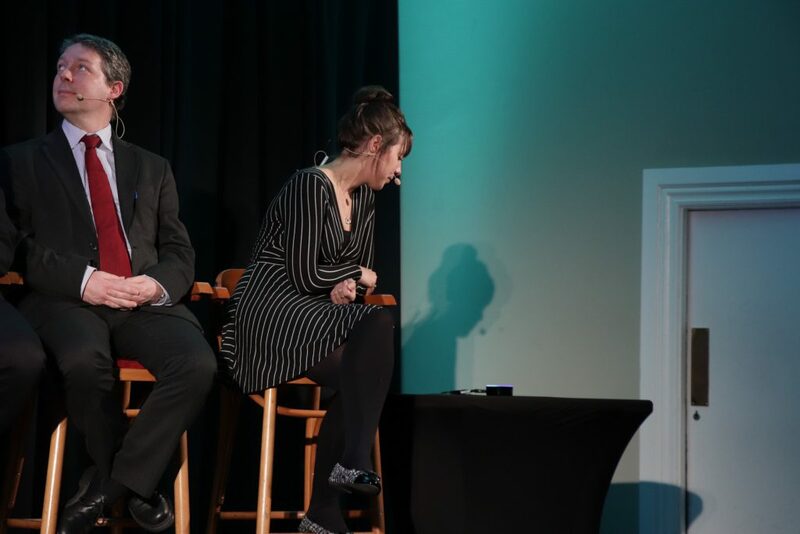 Last week, at the second Version 1 quarterly briefing of the year, we had the opportunity to see the results of innovative thinking from across our organisation when all things technology and innovation took to the main stage. The projects showcased by our colleagues onstage included a variety of work delivered to our customers through our Innovation Labs such as Blockchain Innovation at ICBF, and other innovative projects being delivered across the business for our customers across the UK and Ireland. One project, in particular, brought the benefits of innovative thinking into focus towards the end of the briefing, when we were treated to a live demo of an interesting Amazon Alexa project that our colleagues from the Version 1 Innovation Labs have been working on recently. 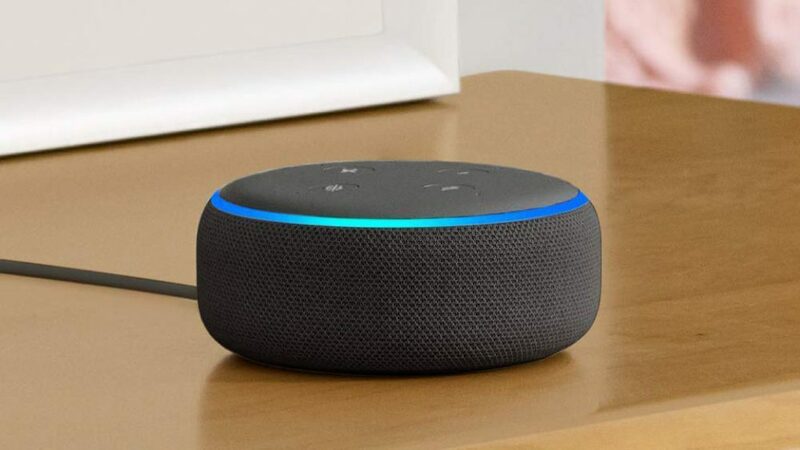 The team developed an application which enables Alexa (Amazon Digital Assistant) to perform business-as-usual tasks such as approving and rejecting requisitions on Oracle E-Business Suite through a device such as the Amazon Echo Dot pictured above. While the possibilities for chatbots in business are endless, this project was created by the Version 1 innovation labs to show customers the art of the possible with such technologies. It shows a different and innovative way to interact with ERP systems (SaaS or Applications Unlimited) using chatbots, without needing to necessarily completely overhaul or move to Cloud ERP applications. Chatbots are becoming increasingly popular in many sectors throughout the world for tasks such as tracking packages or your phone bill. This demo at the company briefing was hosted by Becky Longstaff onstage, and Jean Loughran was monitoring E-Business Suite in the background to display the results of Becky’s requests for Alexa onscreen – this helped the audience to see the tasks being approved in real-time in E-Business Suite. While this live demo was an example of connecting an Alexa device to Oracle E-Business Suite (12.2), the truth is you can connect various other chatbots such as WhatsApp or Facebook to other ERP systems such as PeopleSoft and JDE. Like everything else in this world, the workplace is changing and people are now working on the go. People don’t work just in the office or from home anymore, they take their work with them in the car and when they are travelling. The concept behind connecting Alexa to the ERP system is to provide business people with the opportunity to work hands-free on the go, whether it’s using an actual Amazon device or just accessing the service through the Alexa app, they will be able to retrieve key information by simply asking questions. Imagine for a moment that your CFO or CEO could request their daily up to the minute ‘KPI Flash Briefing’ from your organisation’s core Enterprise Systems – by way of a simple question to Alexa, while having their first coffee of the day at home in their kitchen or first thing as they walk into their offices. The Version 1 Alexa and E-Business Suite application was developed using the latest technologies available to us. For example: NodeJS and the Amazon Lambda function. This Alexa project was just the tip of the iceberg for Version 1 when it comes to managing our customers’ ERP systems in a mobile-friendly world. The team are further developing this technology and plan to come up with innovative and unique ways of making ‘working on the go’ easier. Overall the next step is to take the IP we have developed and expand ‘the skills’ on our solution with other functions in the Oracle ERP ecosystem. An innovative company from inception in 1996, Version 1 is committed to maintaining an innovation edge to drive Customer Success as our customers’ preferred IT Innovation Partner. In 2018, Version 1 announced the intention to invest €1 Million in its Innovation Lab. Through the Innovation Lab, our customers will receive cutting-edge technologies and services, all designed around solving the real problems our consultants observe across our engagements with enterprise organisations.